David Broughton Artist: ROGUE TROOPER COMING TO THIS YEARS 2000AD FORUM ADVENT CALENDAR. 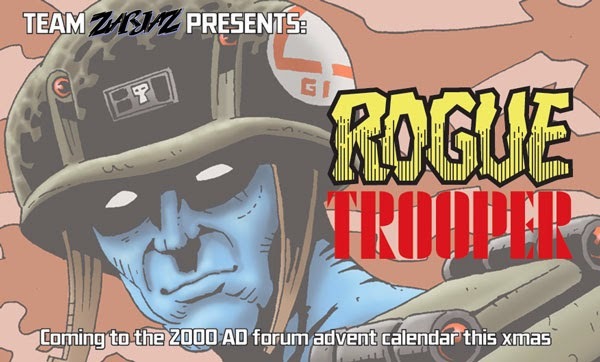 ROGUE TROOPER COMING TO THIS YEARS 2000AD FORUM ADVENT CALENDAR. 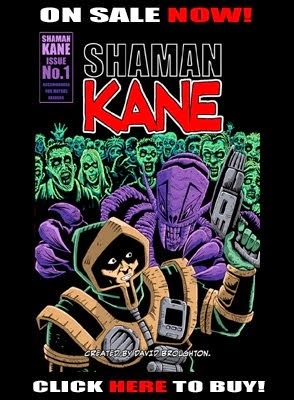 Every year the wonderful 2000ad fan and forum stalwart 'Pete Wells' runs the '2000AD Advent calendar. 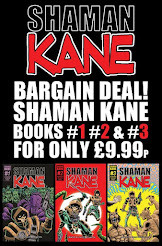 The Calendar has become somewhat of a forum tradition and this year 'Team Zarjaz' otherwise known as 'Dave Evans' and 'Richmond Clements' the editorial team behind the 2000ad fanzines 'Zarjaz' and 'Dogbreath' are teaming up with myself David Broughton A.K.A. 'Megabus' to present a Rogue Trooper comic strip story as our gift to 2000ad creators and fans. For those interested more information will be posted on Dec 5th. Rogue Trooper created by Gerry Finley-Day and Dave Gibbons. Copyright: Rebellion. 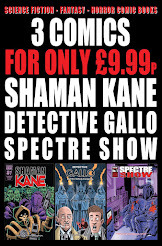 SPECTRE SHOW NOW AVAILABLE TO BUY ONLINE.